Recently we started getting following errors in CRM 4.0 outlook client while tracking any email or setting regarding for any email in outlook. Based on this KB Articles , following are steps to resolve this issue. 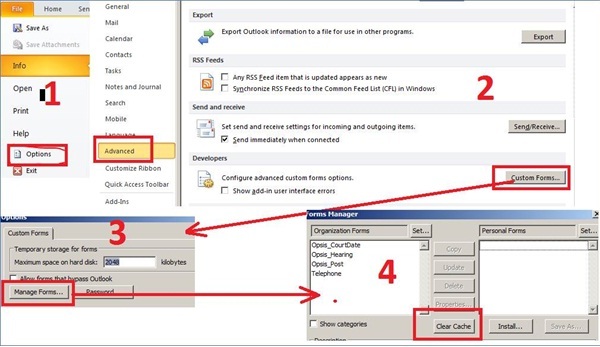 Step 1: Clear the outlook cache as specified in following screen print. Note: these steps are for outlook 2010. Step 2: clear down IE Temporary files as mentioned in following steps. 2. On Browsing history section, click on Delete and then delete all the IE temporary data. Once above steps are done, close your outlook and then start again. This entry was posted in CRM 4.0 on May 17, 2011 by mayankp.